Lisa Nelson, the new CEO of the American Legislative Exchange Council, or ALEC, doesn't know her organization's position on climate change. In a segment on WAMU's Diane Rehm Show, ALEC's Lisa Nelson claimed to not understand the science of climate change, and said, "We as an organization, specifically do not comment on climate change." Funny enough, just a week before, ALEC posted its "Position Statement on Renewables and Climate Change," in response to heightened attention to its role in denying climate change. The surge of attention is due to recent and very public departures by Google, Facebook, Yelp, Yahoo and even Occidental Petroleum, specifically citing ALEC's backwards work on climate change. Google CEO Eric Schmidt said people working for ALEC are "literally lying" about global warming, announcing that Google's staff didn't wish to continue supporting such work (after Google's failed attempts to get ALEC to support clean energy). 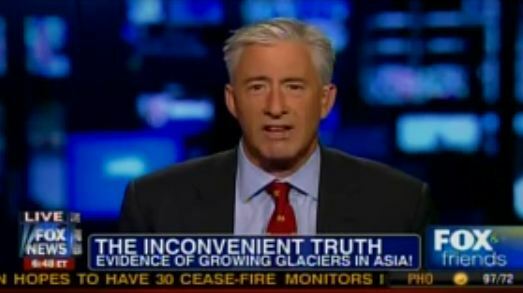 ALEC's history of climate change denial runs deep. In addition to blocking policy solutions to global warming, ALEC helps to smother competition of clean energy industries for its fossil fuel company members, specifically working to repeal state clean energy standards and impose fees on "freerider" homeowners who feed excess energy back into the electrical grid from their solar panels. Most recently, ALEC has called for "guerrilla warfare" against the Environmental Protection Agency's first rule to limit carbon pollution from U.S. power plants. ALEC is a dating service for lobbyists and state legislators. It helps corporations write model bills that its legislator members then introduce in states around the U.S., tax free for its corporations. Its operations are kept secret from the public. ALEC staff are sensitive to the fact of how its lobbying for corporate clients violates its false claims of promoting "free markets." In fact, ALEC doesn't care about free markets. As Greenpeace has documented, ALEC has no bills to remove handouts or subsidies for fossil fuel companies, and plenty of bills promoting oil, gas and coal projects. Meanwhile, ALEC has no bills promoting renewable energy projects and plenty of bills attacking incentives for clean energy. Confronted on this contradiction, ALEC stays mum, consistent with its pattern of avoiding public accountability. Yesterday, about 80 clean energy advocates visited the Arlington, Virginia office of the American Legislative Exchange Council (ALEC) to protest its dirtywork for polluting companies like Dominion Resources, a major utility in Virginia. Click here to add your voice: tell Dominion to Dump ALEC! Brandishing small wind turbines, banners and posters calling on Dominion to sever ties to ALEC, noting the company's role in causing climate change. Many protestors are Dominion customers out of necessity, due to market monopolization, and are demanding that Dominion make wiser investments with the royalties they provide as customers. Here are some photos, Courtesy of Oceana's Caroline Wood. Greenpeace was among the supporting organizations, led by Sierra Club, Chesapeake Climate Action Network, the Black Youth Project, Food & Water Watch, Oceana, and Progress VA.
ClimateProgress author and Physicist Joe Romm. Oceana Volunteer Priscilla Lin advocates for quality climate science education. Jonathan Lykes of the Black Youth Project (BYP100) urges activists to practice unity among movements for economic, racial and climate justice. This protest is the latest in ongoing calls for Dominion Resources to sever ties to the American Legislative Exchange Council. Alexandria Mayer Bill Euille wrote an op-ed in the Fairfax Times, encouraging readers to "to join me in Crystal City at the Sept. 4 rally calling on Dominion to sever its ties with ALEC." Shareholders have filed resolutions at Dominion's last annual meeting, and formally requesting increased commitment to addressing climate change and disassociation from ALEC, citing climate change denial and complaints to the IRS about ALEC's potential tax status violations. Of nine ALEC member utilities contacted by Greenpeace earlier this year, Dominion was one among three that continued to stand by ALEC. Why all the pressure and protest? ALEC is currently helping dirty energy companies wage "guerrilla warfare" against the country's first rule to curb climate pollution as part of a decades-long effort to deny climate change science and block policy solutions. In recent years, ALEC's coal and oil company members have used the shadowy lobbying group--through its state politician members--to attack incentives for clean energy and penalize homeowners who install their own solar panels. ALEC infamously labeled such people "freeriders on the system." Leading this charge within ALEC is the Edison Electric Institute, the primary trade association for utility companies like Dominion and Duke Energy. Todd Wynn, a climate change denier who previously directed ALEC's Energy, Environment and Agriculture task force, is now working for Edison Electric Institute. EEI remains a primary voice within ALEC's anti-environmental task force, which on churns out model policies to undermine pollution safeguards and stunt the growth of clean energy development. Not accountable to customers, lobbyists like Wynn at EEI provide some political cover for its utility members like Dominion, Duke Energy, and Arizona Public Service, all of which have ignored calls to dump ALEC and have acted aggressively against distribute generation solar energy--homeowners and small businesses taking steps to become energy independent. At Google’s annual shareholder meeting today, the company faced an uprising from stakeholder groups and shareholders over its membership in and financial support for lobbying groups that include some of the biggest opponents to climate change and renewable energy on offer in Washington, DC, a town which boasts quite a collection. If the notion that Google supports climate change deniers and fossil fuel interests makes you scratch your head, you’re not the only one. After all, Greenpeace has been vocal in our praise of Google for its leadership in building a green internet, powering its data centers with renewable energy, and investing in the solutions to climate change. Google is the most prominent technology company that on one hand embraces the science of climate change, while on the other supports institutions dedicated to denying climate science, but it unfortunately is not the only one. 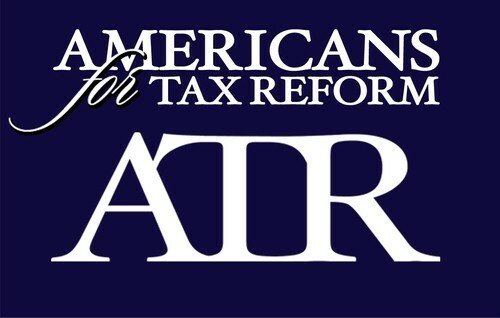 The American Legislative Exchange Council (ALEC), allows member corporations to pay to ghostwrite model legislation and then promote it in states around the country, mostly among right-wing state legislators. ALEC is actively collaborating with many of the nation’s worst polluters to kill clean energy and climate policies. In 2013, ALEC pushed model legislation to repeal renewable energy portfolio standards in over a dozen states, though it failed across the board. The group’s 2014 agenda includes continued assaults on renewable energy laws, like net metering, which is critical to home and business owners with solar panels. ALEC is also targeting the Environmental Protection Agency’s effort to limit global warming pollution from coal-fired power plants. The Competitive Enterprise Institute is a Washington, DC based think tank with a long history of denying the science of climate change and any efforts by government to address it. CEI has recently expanded to include a technology practice that has helped to bring in in new tech sector members, all of which otherwise support renewable energy development. Tech companies join CEI in spite of the fact that the oil industry-funded front group continues to be one of the most vocal opponents to addressing global warming pollution regulations inside the Beltway. The US Chamber of Commerce has been a key part of the corporate effort to block federal action on climate change and undermine the scientific consensus on the issue. It continues to lead the effort to block the Obama Administration’s plans to regulate global warming pollution from US power plants, which currently make up the largest single source of US global warming pollution. The State Policy Network serves as a coordinating umbrella group to advance a far-right agenda across a broad range of US states, often working in close conjunction with SPN members like ALEC. These groups, via SPN coordination, aim to pass state legislation that would undermine renewable energy growth and action on climate change. So why are Google and other companies that use innovative strategies to power the internet with renewable energy undermining those very efforts by offering their political support to organizations which are actively committed to sabotaging the clean energy revolution? It’s likely not because Google or other IT companies have a secret anti-clean energy agenda. IT companies, especially Google, have deliberately increased their ties to conservative groups in recent years as part of the pay-to-play politics that they think are necessary to push their agendas in D.C around a variety of issues. But that’s not an excuse. Google, Facebook and others can support conservative groups or politicians if they feel it necessary without lending their brand, their integrity, and their money to organizations that actively deny climate science and fight to maintain oil, gas and coal industry supremacy. The IT sector has shown its ability to speak in its own voice on a range of issues such as immigration reform, government surveillance, and net neutrality, often doing so with members of both parties. Companies that have shown integrity in other ways, by supporting clean energy or standing up to illegal government surveillance, don’t need to swim in the Beltway muck by supporting climate deniers like ALEC or CEI. We have repeatedly heard claims from tech sector companies over the years about efforts to reign in business associations from the inside, to counter their fossil fuel patrons and get them to take a more reasonable position. But as we can see from the never ending attack on sensible energy and climate policies, those efforts have clearly failed, and it’s time to abandon them. If Google and other IT companies are serious about being leaders on climate change and clean energy solutions, then they should heed the ask of today’s shareholder resolution and disclose all of their lobbying positions and payments. Then they should discontinue their support for groups that deny the reality of climate change or attack the clean energy revolution that their companies are otherwise helping to catalyze. Leaked American Legislative Exchange Council documents published by The Guardian recently offered a glimpse into ALEC's financial troubles, spurred by its role in peddling corporate laws through statehouses around the country. ALEC's controversial work has caused its member companies to abandon it, such as pushing the National Rifle Association's Stand Your Ground laws, efforts to undermine clean energy incentives and delay climate change regulations, and breaking workers unions. The ALEC documents revealed its "Prodical Son" project [sic], a list of 41 corporate members the legislator-lobbyist matchmaker would like to entice back into its roster. 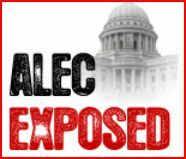 ALEC has lost about 60 corporate members since 2011, the year ALEC Exposed was launched by the Center for Media and Democracy. But there are some private sector members that ALEC doesn't want back. 60 companies left ALEC and it's asking 41 to rejoin...so who is missing from the Prodigal Son list? Conspicuously, both the American Wind Energy Association (AWEA) and Solar Energy Industries Association (SEIA) are not on ALEC's secret Prodigal Son list. Not surprising, since an ALEC staffer accused residential solar rooftop owners of being "freeriders," despite how they feed extra electricity back into the grid and spare utilities the capital costs of installing those solar panels themselves. The solar trade group SEIA left ALEC in the fall of 2012. Shortly before that, ALEC's Energy, Environment & Agriculture task force considered, but didn't ever approve, the Solar Streamline Permitting Act (see p. 18). It's pretty much what it sounds like--making it faster and easier for state governments to approve solar projects, a concept that you might assume ALEC's conservative member legislators would embrace. But ALEC didn't pass the solar permitting model bill. At the same time, ALEC was incubating its assault on state clean energy incentives through The Heartland Institute's proposed Electricity Freedom Act, the repeal of state renewable portfolio standards, later introduced in some form in 15 states, according to ALEC. ALEC's documents list SEIA among "Lapsed" members, with a note explaining "left because their bill did not pass the task force." SEIA was ALEC's only interest dedicated entirely to solar energy at the time, and with both SEIA and AWEA absent from ALEC's ranks, ALEC has no members predominantly focused on clean energy development. Members of ALEC's EEA task force include Koch Industries, the engine of climate denial finance, not to mention many groups its billionaire owners fund and even helped create, like Americans for Prosperity, the Cato Institute and The Heartland Institute. There's ExxonMobil and the American Petroleum Institute, the architects of the leaked 1998 master plan to publicly attack climate science and scientists, which included ALEC itself and other ALEC members like DCI Group. There's Peabody Energy, which commands its PR spokespeople to deny global warming. There's Duke Energy and Arizona Public Service, two major utilities fighting to make residential rooftop solar energy more expensive for residents and small businesses owners in their respective regions. ALEC's utilities are joined by their top trade association, Edison Electric Institute. And don't forget the American Coalition for Clean Coal Electricity, the heavily advertised "coalition that hates each other." ACCCE was caught subcontracting groups that forged letters to Congress against 2009's failed national climate policy. Many dirty energy interests have recently sponsored ALEC's conferences, pay to participate in ALEC's Energy, Environment and Agriculture task force meetings, or both. ALEC's Energy, Environment and Agriculture task force is currently co-chaired by American Electric Power's Paul Loeffelman and Wyoming state Representative Thomas Lockhart. *Koch Industries*--with business in oil and gas exploration, pipelines, refining and trading, coal and other carbon product logistics, timber and consumer paper products, commodities trading and investing, chemicals, fertilizer, ethanol, cattle and game ranching, glass, fiber optics, electronics and plenty of awkward public relations. The Charles Koch Foundation and Koch-controlled Claude R. Lambe Foundation both fund ALEC outside of Koch Industries' membership dues, together giving ALEC hundreds of thousands of dollars. 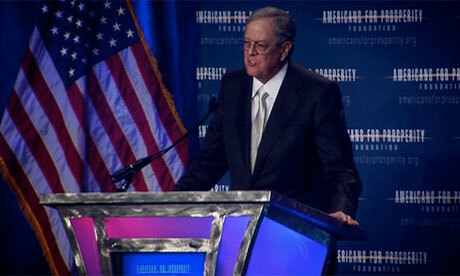 ALEC has long depended on the Koch brothers. ALEC notes show that SPN members the Commonwealth Foundation (PA) and John Locke Foundation (NC) have recently lapsed but would like to rejoin ALEC's ranks. Each of these SPN groups are part of the the Koch-funded climate denial machine. If any companies have disassociated with the American Legislative Exchange Council, we will gladly update this post upon request.